"Wonderfully yummy muffins! I love these at anytime. The flavors remind me of Christmas morning! Fat free sour cream can be used to lower the fat content. Cinnamon or other spices (cloves, ginger or allspice) can be added for a little more spice." Preheat oven to 350 degrees F (175 degrees C). Grease muffin cups or line with paper muffin liners. In a large bowl, stir together chopped orange, orange juice, dates, egg and sugar. In a separate bowl, mix together flour, baking powder, baking soda and salt. Stir flour mixture into orange mixture just until combined. Do not over mix. Fold in sour cream. Spoon batter into prepared muffin cups. 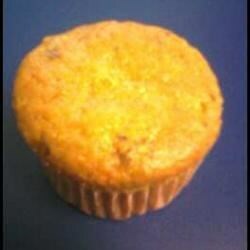 Bake in preheated oven for 15 to 20 minutes, until a toothpick inserted into center of a muffin comes out clean. Remove from pan and let cool before serving. Breakfast + dessert in one sweet treat! Although I added cinnamon, the muffins were a little bland. Next time will add more sugar & spice. Excellent!!! These were so nice and moist** didn't have sour cream -but- Yogurt worked just fine, added some spices. GREAT. Sorry, didn't like these at all. Made exactly as recipe stated and found them bland except for the overwhelming taste of orange skin (and I only put in half the skin). Thanks anyway, Maria.